The Western White Mountains are an incredible year-round destination. You can enjoy the long sunny summer days on the hiking trails, the blooming wildflowers in the spring, the changing leaves in the fall, and lots of great snow in the winter. While it may be cold, there is just so much to do in the Western White Mountains during the winter months.  With two of New Hampshire’s top ski mountains in the region plus the bustling towns of Lincoln and Woodstock, there’s plenty of indoor and outdoor activities for the whole family. I decided to ask a few of the local business owners about their favorite winter activities in the Western White Mountains, so you know where all the best spots in town are hiding. Favorite Things About Winter in the Western White Mountains? 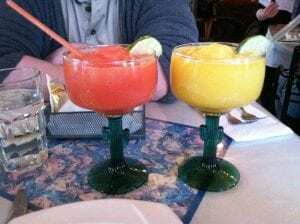 Favorite Place to Grab Drinks and Dinner (or Dessert) in the Western White Mountains? Garrett might be a little biased, but when you work at an award-winning brewery that produces some great beer, it can happen. “The Woodstock Inn Brewery has 14 beers on tap. Personally, I would grab an Old Man Oatmeal Stout. It is served on Nitro, making it creamy and velvety,” says Garrett of Woodstock Inn Brewery. He recommends pairing it with a Baked Banana Blast, which is a banana wrapped in a puff pastry, baked, and dusted with sugar and cinnamon. Three scoops of ice cream, hot fudge, and whipped cream top this sweet delight. Karen and Alan love heading to the Gypsy Café in Lincoln for dinner and drinks. As Karen says “their drinks are the best in town and the food is spectacular thanks to Dan (chef and owner). And, we won’t get desserts anywhere else because they are all homemade by Dan’s mom and co-owner, Claire!” With a unique décor, handcrafted tile work, mural walls, and a solar system hanging from the ceiling, the Gypsy Café is a charming spot along Lincoln’s Main Street. Favorite Indoor Winter Activity in the Western White Mountains? is also an excellent place for kids to burn off some energy on their Beam Play Zone, an interactive digital floor game. Just because the lakes are frozen doesn’t mean you can’t swim in the winter. Garrett loves to bring his kids to the indoor pool for a little splashing fun. Karen and Alan enjoy sitting in front of their fireplace and relaxing after a long day tending to their B&B. 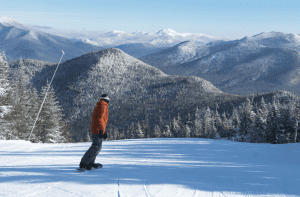 Favorite Outdoor Winter Activity in the Western White Mountains? The Western White Mountains have an abundance of outdoor winter activities from skiing to ice skating to ziplining. Marcus, Executive Director of Loon Mountain Ministry, says it best, “Being a winter lover; it’s hard for me to pick just one winter activity. Skinning up a local peak in the morning with the sunrise on my back has to be my favorite, though.” While downhill skiing and snowboarding at Loon and Cannon Mountains might be the top draw to the Western White Mountains, “the cross-country ski trails are great too,” says Garrett. There’s a reason so many people call the Western White Mountains home year-round – there’s so much to do! If you’re ever looking for the perfect meal, beer, or winter activity, just ask one of the many locals who know all the best spots in town.